SOLD!!! 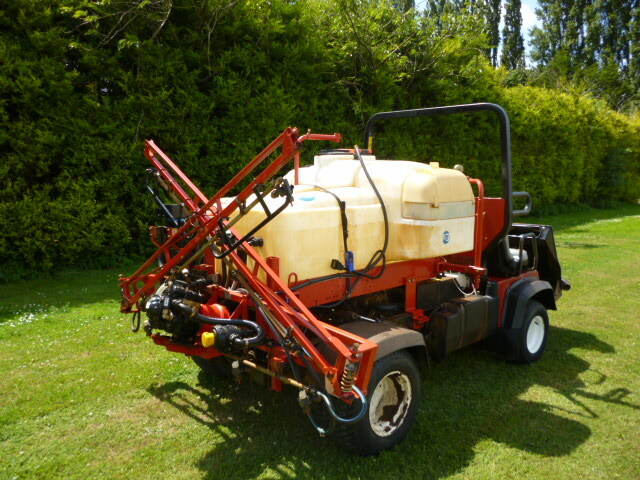 TORO WORKMAN 3300D WITH SPRAYER DIESEL SOLD! 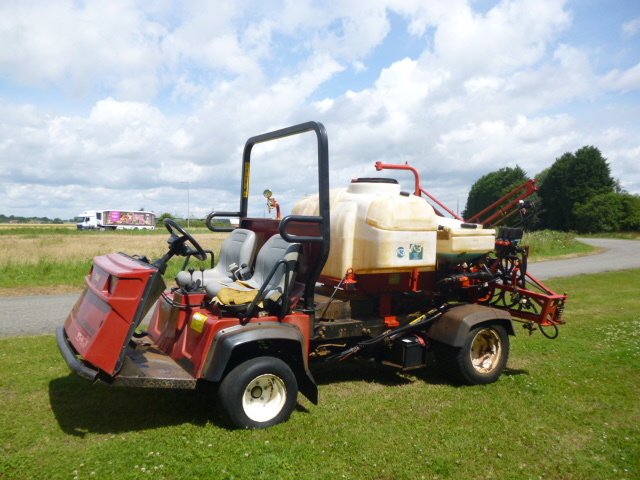 Brief Description: YEAR OF GAMBETTI SPRAYER 2012. 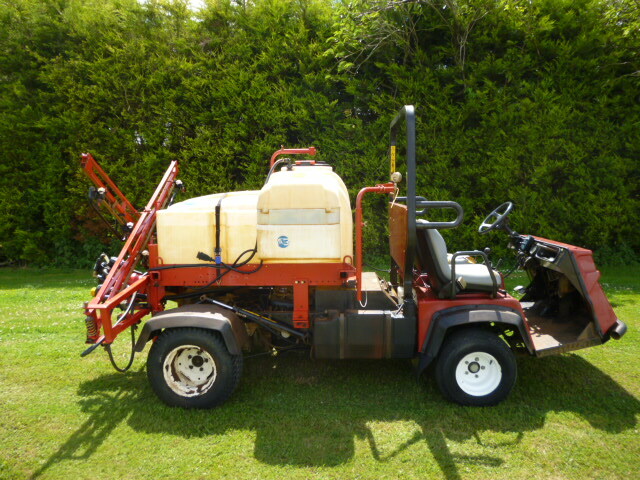 TORO WORKMAN 3300D UTILITY TRUCK. DIESEL. PTO AT REAR. 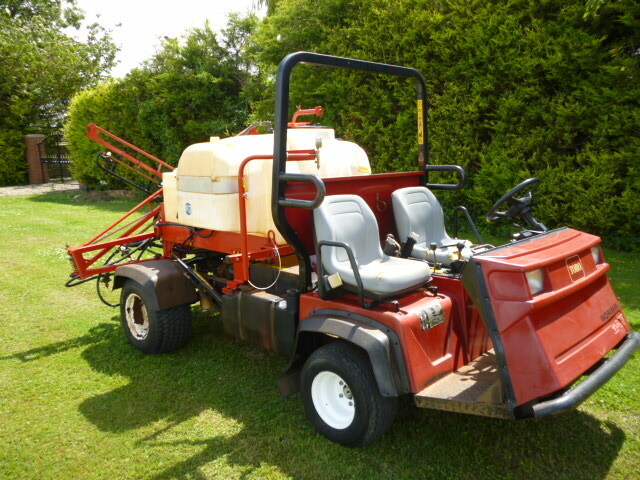 More Information: A durable 2-wheel drive performer with a smooth, controlled ride and a remarkable 70 degess steering angle. More Operator Comfort - The new redesigned Workman® has significantly more legroom, and for even more space and comfort, adjustable seats. 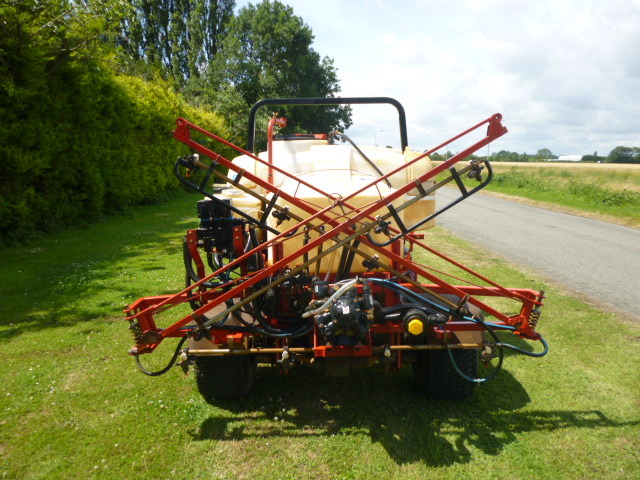 The fully hydraulic steering system makes the Workman easier to turn. Convenient Controls - The higher dashboard makes it easier to reach the gauges and controls. The parking brake lever has been repositioned and the dump lever is more conveniently located. 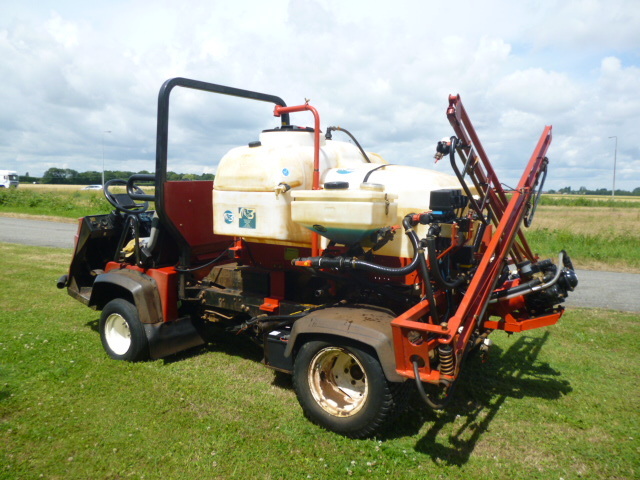 The redesigned Workman also includes remote hydraulics as standard equipment. Also included is a removable cup/radio holder, a larger, deeper glove box and a built-in electrical outlet which can be used for a cell phone. Cutting Edge Design - The new, redesigned Workman® features a new cutting edge design that allows for more operator comfort and convenience.